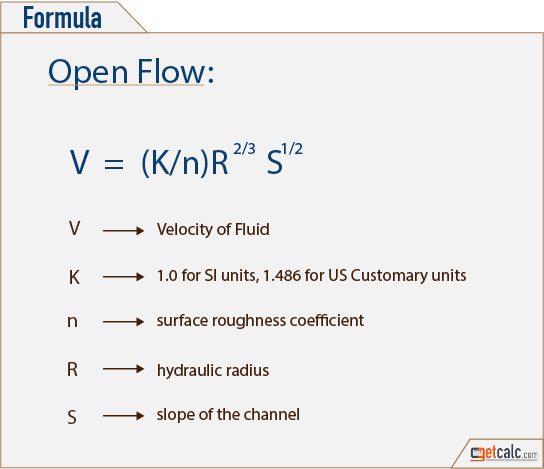 getcalc.com's Manning's Open Channel Flow Calculator is an online mechanical engineering tool for fluid mechanics to analyse the steady state flow pattern of water in open channels, in both US customary & metric (SI) units. Open Channel Water Flow is a measure of water flow pattern in open channel based on the Manning's equation. It's an analysis of steady state fluid flow in the free space.